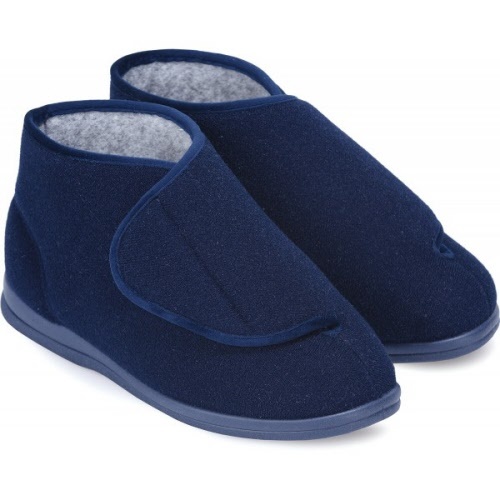 This extra roomy Cosyfeet slipper bootee is soft, warm and supportive. A feeling of security around the ankle and will adjust to fit swollen and mis-shapen feet so you can stay comfy throughout the day. The touch-fastenings (velcro) on the bootees provide a really secure fit, whatever your foot shape. A cushioned footbed is removable for extra depth. The best eCommerce software by ShopFactory powers P1641. All-in one eCommerce and shopping cart software.